The model A pistol is the 9 mm Largo variant of the A/B series of 1911-inspired pistols that led Star design for the next 60 years. The models A, B, P and M had roughly comparable updates over the years. Many other models were related to this series; for example, the model S was first produced concurrent with the earliest model As, in 1922. Pistols marked 9 mm / 38 are designed to fire .38 ACP and 9 mm Largo ammunition, but NEVER .38 Super. Read more detail on ammunition for older pistols. As a general rule, date coded guns (e.g. "Model 1940") are military issue and letter coded (e.g. "Model A") are commercial or export versions. The Guardia Civil continued to set forth requirements changes to previous models of Star pistols, in the course of seeking an optimal sidearm. Changes from the 1921 seem to all be involved in simplifying and refining the design. The extractor is now of a simpler shape, as is the magazine release bar. Most of all, the grip safety has been removed, and the entire rear grip area recontoured. The beavertail is of more conventional length now. The safety lever, slide lock and most mechanical components are unchanged. All issue pistols (as opposed to the Model A for export and commerical use) seem to have a simple, fixed sight. All of these pistols were made in 9 mm Largo. 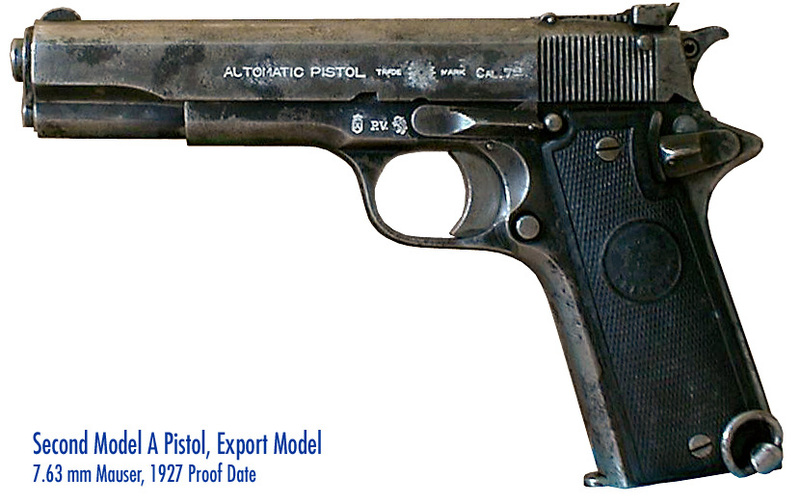 Star produced a commercial version of the Guardia Civil's model 1922 pistol as the model A. The only difference (aside from markings on some guns) is, an adjustable sight. This seems to be a needless complexity on a design that seems to be getting more simple, but is actually fairly clever in comparison to the large tangent sights on some High Powers as it is sunk into and integrated with the top of the slide. As the model 1922 has a simple fixed sight, it is possible some model A pistols also had this instead. These pistols were made in 7.63 mm Mauser for the export market, and 9 mm Largo for the Spanish market and Guardia. In 1924, minor changes were introduced without a model designation change. The previous variant was discontinued in favor of the second variant. I am not clear on what the changes are, or even if they were to both the commercial and Guardia variants or not. I believe that a major feature may be the change from the early T-shaped extractor to the more modern rounded-end extractor; the older extractor is present on the first model B, and on all older guns such as the 1922, but not on the gun shown to the right. Production ceased in 1931 in favor of the third model A and model 1931 pistols. In 1931 a more serious round of changes took place, mostly notably with the reshaping of the backstrap to match the arched mainspring housing of the Colt 1911A1. There were also changes to the style of the thumb safety, and some small internal changes, mostly for manufacturing reasons. The second model A was discontinued in favor of this third model. Some of these changes were to meet Spanish government requirements, and a model 1931 was produced in some quantity, mostly for Guardia, but also for other police and some military forces. 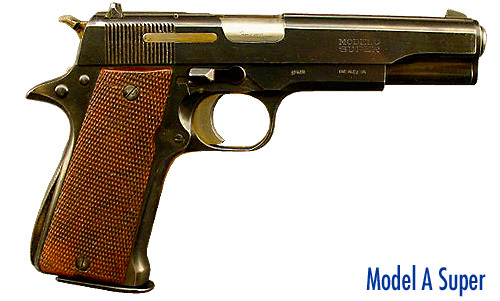 Further refinements and requirements led to the development of the model 1940 pistol, produced from 1940 onward. This was issued in quantity to various Spanish military forces. A Star pistol in 9 mm Largo is still seen in quantity in South Africa. I believe some or all may have been this variant. From 1946 onward, Star produced a Super version of the model A pistol. Besides the improvements from the model 1940, this as usual consisted of a number of upgrades to the weapon. Mostly the swinging link was replaced with a Sig 210 (or modern Star) style closed cam path integral to the barrel. 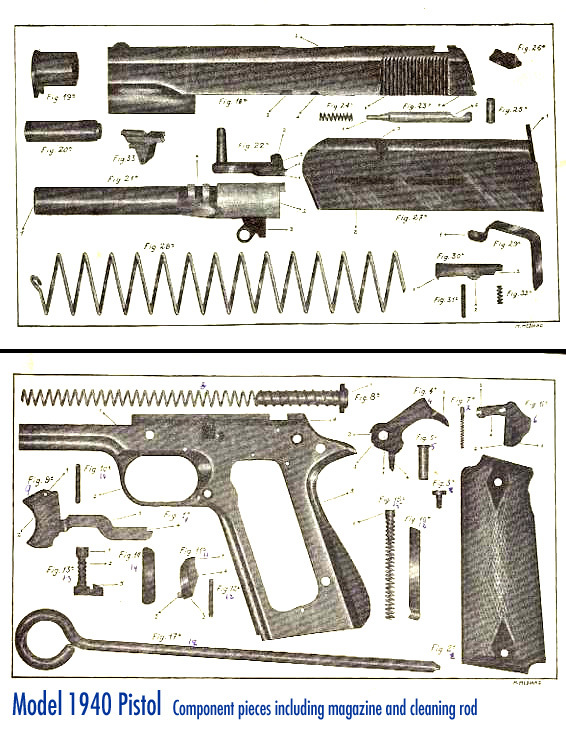 Related to this, a full-length guide rod with captive spring, and a quick takedown lever were added as well. All of these models have a magazine safety, but one different from the previous S variants, and the extractor is modified to double as a loaded-chamber indicator. Additionally, the sights are improved in shape to make them easier to see, and minor changes were made to the trigger system. These were also apparently exported for extensive foreign military use. Most Super pistols, of all series, were not labeled with the overall series letter. This has caused no end of confusion, and a number of guns are now sold at surplus as the Modelo Super, or even as model Bs, that are actually model As. As there are aftermarket barrels available to allow firing of 9 mm Luger/Parabellum ammunition in Largo (model A) pistols, caliber is no longer a completely sure way to identify Super marked pistols. Use care when trying to ID these pistols. The final model A variant of which I am aware is the AS, produced from 1956 to the end of primary A/B series production in 1983. This seems to be a commercial version of the model 1940 pistol, including the swinging link, and with the addition of a magazine safety and loaded chamber indicator. It was sold on the commercial and export markets exclusively. 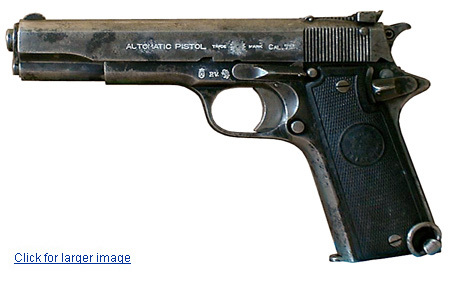 A small number â€” reportedly 60 â€” model AS pistols were marked "Cal 38" on the side and barrel hood. Per the importer, this indicates they are able to safely chamber and fire .38 Super ammunition. It is unclear if this is the primary chambering, or they are simply upgraded 9 mm Largo dimensioned chambers able to handle the extra pressure.